The administrative ping pong of Brexit continues, an exercise that merely prolongs both pain and uncertainly. Confused, parliamentarians await the next twist before the inevitable surrender. The last round of votes touched on two House of Lords amendments directed at easing the bruising effects of any Brexit on the rights of EU citizens living in the UK. On returning to the House of Commons, members dismissed the amendments with cold certainty, suggesting that the government whips had not only been busy, but successful. The issue of calls to protect the status of EU nationals within the three months of the start of Brexit talks was rejected by 335 votes to 287. Calls for Parliament to have a meaningful vote on any Brexit outcome failed by 331 to 286 votes. 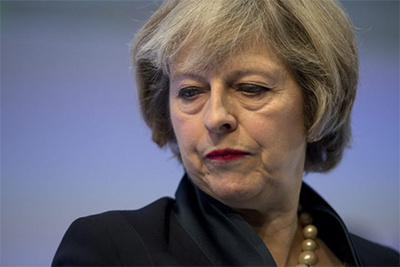 As for the issue of parliamentary involvement in triggering Article 50 negotiations with the European Union, Prime Minister Theresa had suggested in light of Gina Miller’s victory over the government that MPs would be given “the opportunity to bring their invaluable experience and expertise to bear in helping the government select the best course in the forthcoming Brexit negotiations.” Given the latest turn of events, such consultation and involvement is likely to be minimal. At heart, May remains disgruntled about much of what counts for consultation. That’s not all, claims Davis. “We have a plan to build a Global Britain, and take advantage of its new place in the world by forging new trading links.” (His preference here is less for the rights of EU citizens than trading opportunities.) This charming delusion hatched in historical myopia persists to be Tory policy. The secretary has also been making brave assertions that attempting to protect the rights of EU citizens in Britain will be something of a moral mission, his own personal responsibility. The caveat there, of course, is how Europe wishes to respond to British citizens living and working in Europe proper. This latest outcome suggests, at least on the surface, the desire on the part of the May government on keeping Brexit firm and assured even if there is no guarantee on what would happen in the absence of a deal. In that stormy background is a nationalist mania that is pulling the strings and indifferent to prudence. “Deranged,” was how former attorney general and Tory rebel Dominic Grieve described it. This supposed end to parliamentary ping pong is merely another hiatus before the next play – May’s announcement on triggering Article 50 of the Lisbon Treaty will now have to wait till later this month. Even that time table has been claimed to be dangerously delusional. Be patient to see, argues Nick Cohen, for the Dutch, French and German elections. The nationalist fires of other countries are burning with sceptical rage; populism is being readied for a potential seizure, if not of parliaments, then on good portions of the popular vote. Brexit negotiations, were they to take place later, might just seem less treacherous, and isolated, than they do now.